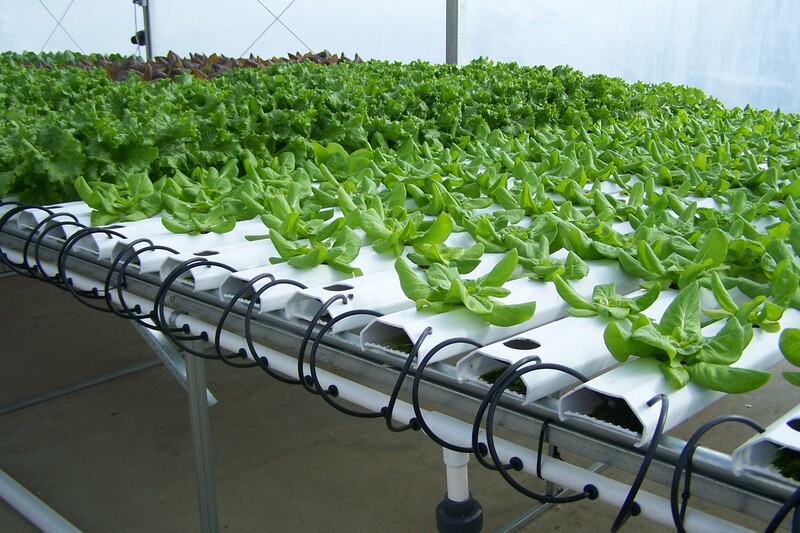 Since the 1940's hydroponics - which I use to talk about a broad variety of soilless growing methods - have promised to deliver better plant yields than soil culture with less water usage and higher fertilizer efficiency. However there are many different types of soilless cultures that vary in their initial cost, media used, irrigation method used and potential for yield. Today I want to talk about the decisions that need to be made if you want to maximize yields in a hydroponic crop and the compromises that you may have to make in order to get there. There are mainly two ways in which yields can be increased in crops. The first is to increase the amount of production you can achieve per plant and the second is to increase the amount of plants you can have per area. Maximizing crop production requires using methods that allow you to reach the best compromise between these two, maximize the product of plants per area with production per plant. This often means not having the largest amount of plants you could possibly grow per square meter and not having the largest possible yields you could have per plant. Assuming that plants are getting adequate lighting and carbon dioxide there are two things that can be done to maximize the amount of yield per plant. The first is to ensure that plants can get optimum contact with nutrient solution as often as possible. This means that nutrient solution should always be saturated with oxygen and that irrigation should happen as often as possible. This ideally means that the media should not allow for any waterlogging but should allow the solution to flow freely and constantly. The second is that the nutrient solution should contain adequate amounts of all nutrients - all within the plant's sufficiency ranges - with adequate temperature, pH and EC values. 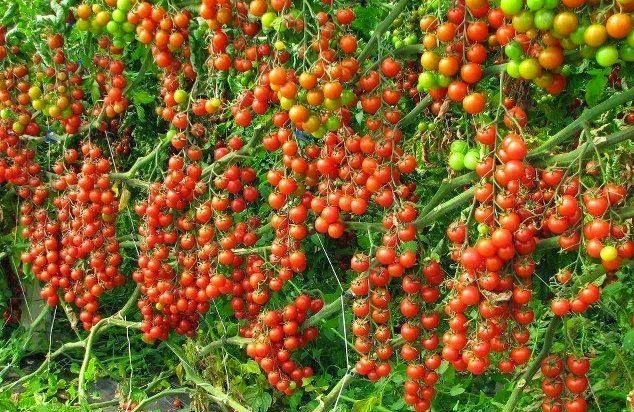 The optimum nutrient ratios in solution depend on the plant being grown and they can play a substantial role in getting better yields per plant, especially in flowering crops. Here are some scientific articles with some experiments about some of the above (1, 2, 3, 4, 5, 6). A typical problem when maximizing yields per plant is that this immediately means larger energy expenditure. It often means close to constant irrigation systems with highly efficient oxygen pumps. It also means potentially more expensive media - such as expanded clays or rockwool - with closed systems where solutions need to be closely monitored. Systems of this sort are more vulnerable to power outages and they are much less forgiving with grower mistakes. Plants are much more dependent on the ideal conditions being created around them and deviations from these conditions can eliminate any potential advantages that were obtained when going for this system class. Our next area of yield maximization is to increase the number of plants per area. To do this we basically need to increase two things: light and ventilation. The main limiting factor in having more plants is the light that they can receive so either changing to systems where light can be better distributed - such as growing towers - or using more lights can alleviate this problem. Some growers have even used high power LED strips between plants to fix this issue. Since plants also absorb carbon dioxide around their leaves we also need to ensure we have stronger ventilation to ensure none of our plants are getting starved. Increasing plant density also increases the propensity of our plants to catch and transmit diseases so environmental manipulations like lower humidity are often coupled with increases in density to decrease these risks. See these articles for more on yields, light and density (1, 2, 3, 4). Increasing plants per area automatically decreases yields after one point but it is often the case that you can get larger final yields per area by compromising some yield per plant in the process. Even if plants yield 10% less this might be worth it if you can include 2 more plants for every 10 within your hydroponic crop. The key to maximizing yields per area is to find how far you can push this before getting substantial issues that may dramatically decrease plant yields. It is worth noting that steps taken to maximize yields are also often steps taken in making the crop more susceptible to problems. While lower yielding setups, like for example run to waste setups with sparse plant density, are often easy to manage and very forgiving, more technical setups like closed loop constant irrigation systems at high plant densities can be much better yielding but much more prone to problems, requiring much closer monitoring and attention. This is why many growers might get better yields with setups with lower yielding potential, because their mistakes are punished much less harshly under these conditions. 'Since plants also exhaust carbon dioxide around their leaves...' Really? Sorry I meant absorb, it's already fixed now.